FDI President Kenneth R. Timmerman exposed NIAC's latest efforts to infiltrate Congress and their ties to prominent Democratic U.S. Rep. Chris Van Hollen (MD-08) during his 2012 Congressional campaign. Hassan Dai has posted many of NIAC's internal emails and documents that detail their efforts to lobby Congress to lift U.S. sanctions in favor of the Tehran regime. The National Iranian American Council, NIAC, has become the leading edge of the pro-Tehran lobby in Washington, DC. FDI has been exposing their activities from the very start, when NIAC founder Trita Parsi held his first fund-raisers in California in 2003. In some of the blog posts below, you find links to other websites with original NIAC documents revealed during NIAC's failed lawsuit against critic Hassan Dai. NIAC tried unsuccessfully to subpoena FDI president Kenneth R. Timmerman in their failed lawsuit. 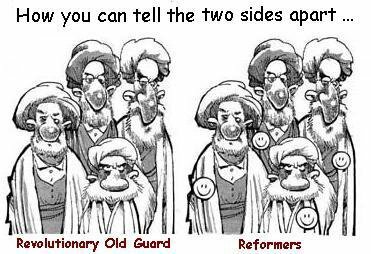 Dec. 20, 2012 - Pro-Tehran group seeks an end to sanctions. The National Iranian-American Council, which has consistently lobbied the U.S. government to end sanctions and engage in direct negotiations with the Tehran regime, has sent a letter to President Obama signed by 24 U.S. and European "experts," arguing that sanctions will not compel the regime to halt its nuclear weapons program. NIAC's goal, once again, is to get U.S. sanctions lifted and to provide "cover" to the Obama administration for its efforts to craft a "grand bargain" that would guarantee U.S. recognition for the Islamist regime in exchange for window-dressing concessions by Tehran. According to Hassan Daioleslam, who won a landmark defamation suit against NIAC earlier this year (see our Sept 20, 2012 entry, below), this latest NIAC letter received a "warm reception in Tehran," where a group of former regime diplomats reported on the NIAC effort with the title, "Did the Iran Lobby Speak Out?" Oct. 10, 2011: Friday Night Massacre at VOA. The Voice of America's Persian service has eliminated four top broadcasters known for their anti-regime positions, in what appears to have been a Friday Night Massacre orchestrated by NIAC protegé Ramin Asgard, now the director of VOA Persian. 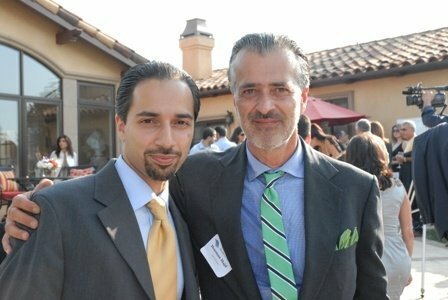 When he was still at the U.S. consultate in Dubai, Asgard worked closely with NIAC founder Trita Parsi, offering to allow Parsi to "handpick Iranian-Americans to staff the State Department’s primary field office on Iran," according to a former aide to Sen. Tom Coburn (R, OK). The broadcasters fired included Jamshid Chaharlangi, Ahmad Batebi, Kianoush Sanjari, and Kourosh Seyhati. FDI sources say that Asgard is hoping to fire more anti-regime journalists, while adding to the five young NIAC members recently brought on board from southern California, to complete the VOA's transformation into the Voice of the Mullahs. A recent evaluation of VOA broadcasting that appears to have given support to Asgard's makeover was authored by Hooman Majd, an Iranian-American "scholar" who has worked as Ahmadinejad's "voice" during his vistis to New York. Iranian regime intelligence planted a story with Press TV several months ago alleging a sexual harassment investigation against Chaharlangi, when in fact no such investigation was under way nor allegations made. Press TV is widely believed to be controlled by Iran's ministry of information and security, MOIS. Aug. 31, 2011: Facebook blocks anti-NIAC "cause. Internet giant Faceboo k has taken down a prominent "cause" that had attracted close to 3,000 supporters, ostensibly because its title, "NIAC is a Lobbyist for the Islamic Republic of Iran," might be considered defamatory. Despite a spate of email requests from members to re-instate the page, Facebook "Causes" executive Sydney Fleischer refused, suggesting instead that the activists choose a different name for their action. According to one of the activists, FDI advisory board member Arash Irandoost, NIAC has boasted of having "taken down" the anti-NIAC page from Facebook's Causes website. "Unlike Trita [Parsi - NIAC's president] we are not driven by money. We are doing what we believe to be morally right. I, much like you, am driven by conviction and values," Dr. Irandoost said in an email. So far, Facebook has taken no action against a replacement "cause" page set up yesterday. This cause had the straightforward title, "United Against NIAC." FDI has joined this "cause" as a supporter and urges our readers and supporters to do the same. (A similar page, "National Iranian American Council and Trita Parsi, Myths vs. Facts," has also been set up. • NIAC efforts to compel testimony from FDI fail in court. A U.S. District Court judge in Washington, DC yesterday rejected long-standing efforts by NIAC to compel testimony and documents from FDI in relation to NIAC's lawsuit against Hassan Daioleslam. In an early subpoena, served on FDI president Kenneth R. Timmerman at his residence in January 2010, NIAC demanded that he produce “any email, article, letter or work, published or unpublished, public or private that you (or anyone under your (direct or indirect) direction, supervision or control) has produced or has in your possession regarding....the Islamic Republic of Iran.” The court quickly rejected that demand as an open-ended fishing expedition, but NIAC took 18 months to serve a new subpoena, claiming in court documents it couldn't locate Mr. Timmerman's residence, even though they had already served him at that location! Yesterday's court order vindicates FDI's efforts to quash the subpoena. "Plaintiffs had ample opportunity to depose Timmerman prior to the February 4, 2011 discovery deadline," the Court order reads. "The Court then provided plaintiffs with additional time to depose Timmerman, allowing, them up until May 13, 2011 to take the deposition. Although plaintiffs maintain that their failure to depose Timmerman is attrributable to Timmerman's attempts to evade service of process, the court finds this explanation unpersuasive, given that (1) plaints appear to have known Timmerman's home address throughout this litigation..."
In fact, the court documents allege some troubling connections involving NIAC's attorney, Afshin Pishevar, of Rockville, MD. "Plaintiffs’ have conveniently neglected to advise the court in regard to the service issue, that Abraham Pishevar, the father of plaintiffs’ present counsel, Afshin Pishevar, worked on the U.S. Senate campaign of Timmerman, has been to Timmerman’s home on numerous occasions in conjunction with campaign conferences, and has taken photographs of Timmerman and the inside of Timmerman’s home which, (Timmerman was subsequently informed) Pishevar provided to the Iranian government," the court documents revealed. Perhaps encouraged by the successful efforts to get inside Timmerman's house, NIAC attorneys now wanted to get inside Timmerman's computer. Wisely, the US District court said no. May 23, 2011: DACOR rejections calls to cancel Trita Parsi. Diplomatic and Consular Officers, Retired (DACOR) has rejected calls by Iranian-Americans to cancel Trita Parsi's presentation on May 24. The group will host Parsi at a Forum on Iran at noon at its historic mansion, known as Bacon House, at 1801 F street, NW in Washington, DC, despite protests by Iranian-Americans that Parsi represents the positions of the Iranian regime. FDI joined other Iranian-Americans in a letter urging DACOR to cancel Parsi's presentation. "The Iranian-American community considers the "self-appointed" Trita Parsi of the National Iranian American Council (NIAC) an intellectually dishonest regime apologist and an unofficial and unregistered lobby for the Iranian regime. He contributes to the regime’s agenda and serves the interests of those in power in the Islamic Republic of Iran, not the Iranians, nor the Iranian-Americans. In a recent survey, 96% of the Iranian-Americans expressed that Trita is a lobbyist for the Iranian regime," the letter states. A separate letter, sent by Walton Martin of the Iran Information Project and and Dr. Gill Gillespie of the Iranian Refugees Action network, notes that internal NIAC documents show NIAC's "intent to outright deceive Congress, the NED, Iranian-Americans and Americans as a whole under the guise of pretending to pursue human rights issues." May 17, 2011: Iranian-Americans Step Up Protests of NIAC Misrepresentation. Iranian-Americans have written a series open letters over the past few weeks to protest the misrepresentations of NIAC and its founder, Trita Parsi. The latest installment, released today, was addressed to General Wesley Clark, took part in a recent forum with Paris. "Dr. Trita Parsi and NIAC are shunned by the Iranian American community. We overwhelmingly believe that he is a lobbyist for the Islamic Republic. In a survey conducted of NIAC by the Pro-Democracy Movement of Iran, over 95% of the Iranians believe that NIAC does not represent their interests or their views," writes Sheri Alavandian of the Pro-Democracy Movement of Iran. She added that documents and emails that have come to light in NIAC's lawsuit against Hassan Dai "clearly shows NIAC has been advocating for policies favorable to the Islamic (non)Republic government in Iran." The documents also indicate that NIAC may have misused funds obtained from the National Endowment for Democracy, Ms. Alavandian writes. May 8, 2011: FDI Joins Iranian-American Activists Calling on UCLA to disinvite Iran-regime apologist Trita Parsi. In a letter to the chairman and ranking member of the House Foreign Affairs Committee, a group of Iranian-American activists, joined by FDI, called on UCLA to cancel its invitation to Trita Parsi to address an upcoming forum on Iran. As the letter states, "the Iranian- American community considers Trita Parsi of the National Iranian American Council (NIAC) an intellectually dishonest regime apologist. He contributes to the regime’s agenda and serves the interests of those in power in the Islamic Republic of Iran." Read the full letter here. Parsi and friends continue to try to curry favor with the Obama White House. A key Parsi sponsor and funder, Noosheen Hashemi, founder and chairman of the Hand Foundation and the PARSA Foundation, paid $35,800 to attend an Obama celebrity fund-raiser on April 20 at billionaire Marc Benioff's San Francisco home. The PARSA foundation has given grants worth more than $400,000 recently to NIAC, according to its own website. Most of these grants came after NIAC reportedly had advised the State Department and the White House not to openly criticize the Iranian regime for its crackdown on protesters after the June 2009 election fraud in Iran. April 22, 2011: Conference on Iran to feature Tehran apologist. In an opinion column in today's National Post, FDI president Kenneth Timmerman and Canadian human rights activist and advocate Sayeh Hassan urged the Canadian authorities to cancel a scheduled speech by Trita Parsi at a conference on Iran to be held in Ottowa next month.The conference will be sponsored in part by the Canadian Department of National Defence and the Canadian Security and Intelligence Service (CSIS), making the invitation of a known pro-Tehran advocate all the more questionable. "Given the leadership role the Canadian government has taken in condemning Tehran’s human rights violations, pushing for smart sanctions and showing support for the pro-democracy movement in Iran, it is therefore surprising that the Ministry of National Defence and CSIS, two entities responsible for the safety and security of Canadians, did not perform due diligence on Trita, the founder of the Teheran-friendly NIAC," we argue. 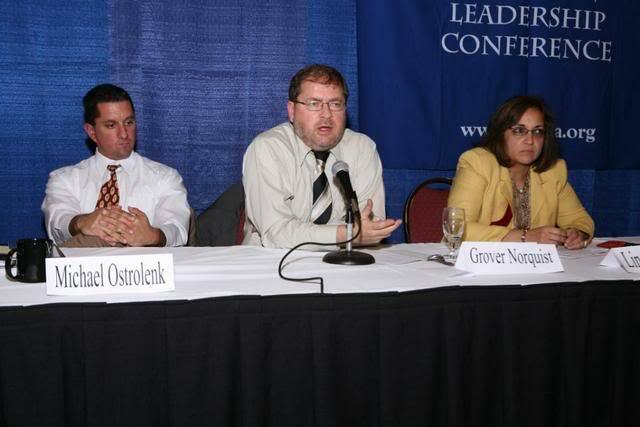 March 17, 2011: Have an opinion on Trita Parsi and NIAC? Take this online survey. Is Parsi an Iranian regime agent? A human rights activist? Should NIAC be shut down? Be forced to answer questions on its ties to regime officials? Take the survey here. Last week, legislators in Maryland introduced similar legislation. Here's a round-up of the current Disinvest Terror campaign. April 26, 2005: Iranian-Americans blast anti-sanctions activists. The Iranian-American Jewish Federation (IAJF), led by Sam Kermanian, has joined the growing ranks of Iranian-American groups to expose the agenda of an anti-sanctions lobbying group that shares many of the same policy objectives as the Islamic Republic. The National Iranian American Council (www.niacouncil.org) has been seeking for years to organize Iranian-Americans to lobby Congress against the sanctions and in favor of open economic ties with the clerical regime in Tehran. Also opposing NIAC's latest efforts to create false facts (such as a "scientific" poll showing that Iranian-Americans want sanctions to be lifted so they can invest in the Islamic Republic of Iran is the nationalist, secular Marzepourgohar movement, led by Roozbeh Farahanipour. Click here for the full text of the IAJF and MPG statements.